1 of 2 Place eggs in a medium-size saucepan. Add oil and enough water to cover eggs by 1 inch. Heat over medium-high heat until just boiling, about 10 minutes. 2 of 2 Cover saucepan; remove from heat. Let stand 12 minutes. Drain and then cover with ice water. 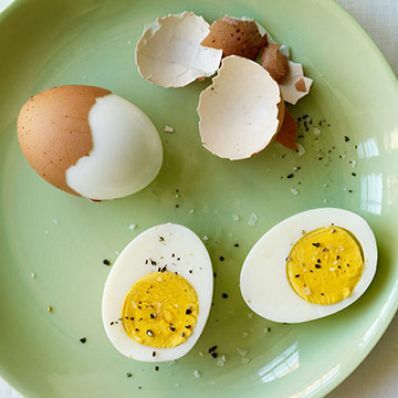 Cool completely, then roll eggs over paper towels and remove shells.